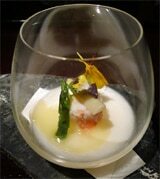 We have dined at many Tokyo restaurants, and we want to share the top restaurants in the Tokyo region with you. Whether you are looking for the highest-rated Tokyo restaurants when it comes to food, or where to get the most value, you can follow our top 10 Tokyo restaurant lists and recommendations. Here you can discover the best restaurants in Tokyo in a number of different categories.